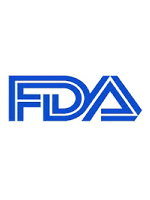 The US Food and Drug Administration (FDA) is hoping that its December 4, 2014, final rule on pregnancy and breastfeeding labeling for prescription drugs and biological products will be helpful to patients and providers. Clinicians are also optimistic about the changes but are waiting to see whether sufficient data will be available to truly clarify the risks of using each medication during conception, pregnancy, and lactation. The new regulations state that as of June 30, 2015, labels for newly approved medications must have 3 subsections—Pregnancy, Lactation, and Females and Males of Reproductive Potential—describing the medication’s effects on women who are pregnant or breastfeeding, on the fetus and breast-fed children, and on men and women who are attempting to conceive. Labels must no longer include a labor and delivery subsection or the currently used A, B, C, D, or X pregnancy category designation for classifying teratogenicity. Over the subsequent 3 to 5 years, products approved from 2001 to June 2015 will be required to comply with the new labeling rules. Labeling for medications approved before June 30, 2001, will not be required to include the new changes, but the letter designation, if any, must be removed within 3 years of the final rule’s effective date. The final rule stipulates that the Pregnancy subsection of the label will specify whether there is a scientifically acceptable pregnancy-exposure registry for the drug. This subsection also will include a summary of the risks to fetuses and mothers of using the drug during pregnancy, as well as any other available information to help clinicians counsel pregnant women about use of the medication. The Lactation subsection will indicate whether the medication is absorbed systemically by the mother and, if so, what its effects are on milk production; how much of the drug reaches the breast milk; and what its effects are on breast-fed babies. Other information to be put in this subsection includes ways to minimize the amount of the drug ingested by children via breastfeeding and ways to monitor for and reduce side effects from the medication. Information in the Females and Males of Reproductive Potential subsection will address whether pregnancy testing or contraception is needed or recommended before, during, or after medication use. Furthermore, if studies have indicated that the medication effects fertility, this data will also be included. Content and format of labeling for human prescription drug and biological products; requirements for pregnancy and lactation labeling. Federal Register website. https://federalreg ister.gov/a/2014-28241. Published December 4, 2015. Accessed February 4, 2015.